Happy Hartalika Teej Today! If you have missed out the details of Hartalika Teej, check out our previous blog. Here, we are giving information on Ganesh Chaturthi festival, which is beginning from tomorrow. However, some precautions have to be taken today as well. Let’s know everything in this post. Worshiping Lord Ganesha is very important for nullifying malefic effects of Ketu. If you are suffering from Ketu’s major-period or sub-period, or if there are problems related to business, job or health, chant the Mantra “ॐ गं गणपतये नमः” 21000 times on this sacred day. Offer Doob Grass, (also known as Durva) and Motichoor Laddoo to Lord Ganesha. Perform Havan with the one tenth part of the Mantra and offer food to Brahmins. You will be liberated from all problems related to Ketu. The grand celebration of Ganesh Chaturthi is also known as “Ganesh Utsav” which starts from the establishment of Lord Ganesha idol. Large stalls are imposed in which Ganesha’s idol is established. Devotees worship Lord Ganesha with full devotion and heart. 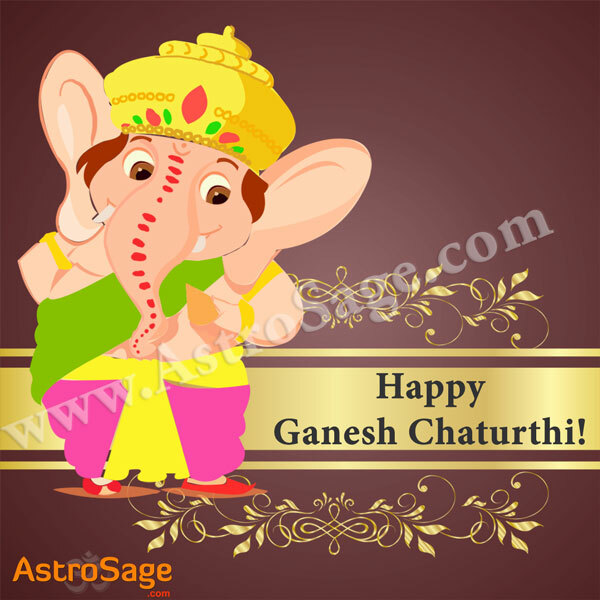 On this special day, variety of sweets are prepared and offered to Lord Ganesha. People from all over the world come together to honor the Lord. To enjoy the day to the fullest, devotees sing traditional songs and dance. People worship Lord Ganesha by reciting the Ganesha Mantra and offer Modak (Ladoo), coconut and other sweets to the Lord. After the true devotion of 10 days, comes the day to bid final goodbye to Lord Ganesha, which is known as Anant Chaturdashi. On this day, Lord Ganesha’s idol is submerged in water.